Thermaltake Level 10M is one special mouse because it is made in cooperation with one of the most famous car company – BMW. Everything on this mouse is special, from performance to materials. 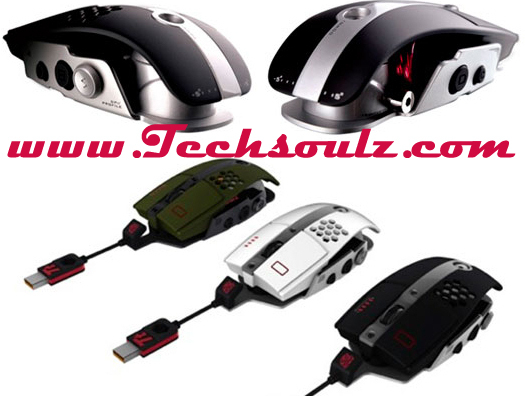 This mouse has aluminum chassis, which is more common for car industry. On the top of the mouse there is so-called ventilation to prevent hand from sweating when gaming. Besides ordinary buttons this mouse has one tiny Z button, which is actually joystick that can change place of your mouse. You can adjust this mouse horizontally and vertically for better comfort. You can change DPI from 800, through 1600, 3200, 5000 to max 8200. Thermaltake Tt eSports Black Element has special design, it is a combination of sharp edges and elegant curvature. It has 9 buttons in total. 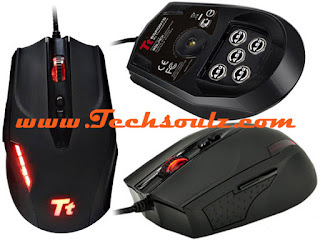 This mouse is all black with few LED lights on every side and Tt logo at the bottom which glow in 5 different colors. You can save up to 5 different profiles on 128 Kb of onboard memory. It has 6500 DPI with laser sensor. You can change your DPI depending on what you are doing on, such as 3000 DPI or 1500 DPI. With this mouse you'll get five 4,5 grams weights for better balance while playing some game. It is cabled mouse with 1,8 meter cable and gold-plated connector for maximum conductivity.